Early summer is one of the best times for replacing windows. If your house windows are difficult to open and close, you may want to consider getting replacement windows. Energy efficient windows not only help reduce how much you pay for heating and cooling, but help your home feel comfortable year-round. 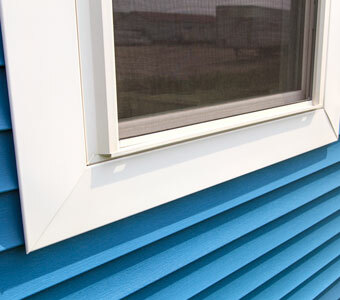 Continue reading to learn the signs you need replacement windows. Drafts affect your home year-round, not just in the winter. If you have air leakage around your windows, hot summer air from outside could be seeping into your home, making it more difficult for your air conditioner to run efficiently. If you have drafty windows, call our remodeling contractors as soon as possible. Sealing and weatherstripping are only temporary solutions. Replacing windows, on the other hand, will help you save money in the long run on energy bills. Double and triple pane windows are popular because they provide better insulation than their single- pane counterparts. However, once the seal breaks between the panes of glass, you’ll start to see trapped condensation. Not only does this condensation make your house windows look perpetually foggy, but it also is a sign of air leakage. Wooden windows can warp over time due to fluctuations in humidity. When this happens, the frame will warp to create gaps. If you notice your triple or double pane windows starting to fog up, call our remodeling contractors as soon as possible. We can help you find the best replacement windows for your home. A picture window is designed to show off beautiful views while letting in maximum sunlight. However, you expect other types of windows to open and close when you want to let in fresh air. If you’re having difficulty opening and closing windows, this may be a sign that you need replacements. Not being able to open and close your home windows is not only inconvenient, but a safety liability. A window that doesn’t close properly can become the perfect spot for a burglar to break into your home. Fortunately, our remodeling contractors can help you choose the best replacement windows for your home. Do you have high energy bills in the summer and winter? This could be a sign that you have significant air leakage around your windows. According to the US Department of Energy, drafty windows are responsible for 25% to 30% of the energy used to keep your home at a comfortable temperature. The more air that leaks around your windows, the harder your heating and cooling system will have to work to keep your home at a comfortable temperature. Replacement windows are an investment in your home because they help you save money on energy bills in the long run. We can help you choose energy efficient windows that will work for your home. Our Kalamazoo window contractors will be more than happy to answer any questions you have about replacing windows. To request your quote for replacement windows, call Abode Building Center at (269) 329-1800.